First Lady, Nana Dr Lordina Mahama, is advocating for private and philanthropic participation in improving quality healthcare delivery across the country. This, she believes would complement Government’s efforts in the provision of healthcare to the Ghanaian populace. She said, Government on its own could not provide the health needs for the citizenry without the support of individuals in the private sector. Madam Mahama, who was addressing chiefs and peoples of the Ejura-Sekyedomase Municipality in the Ashanti Region, also reminded health workers and the community of their roles in achieving quality healthcare in their societies. The Lordina Foundation is partnering with international donors including MedShare USA to acquire medical supplies and equipment to stock hospitals in order to enhance their efforts in quality healthcare delivery in the country. Seven (7) selected district hospitals in the Ashanti Region were presented with the medical supplies and equipments to improve their work. The hospitals include; the Manso-Nkwanta hospital in the Amansie West District, the Offinso hospital in the Offinso Municipality, the Ejisu hospital in the Ejisu-Juabeng Municipality and the Juaso hospital in the Asante Akim South District. Others are the Bomfa-Achiase health center also in the Ejisu-Juabeng Municipality, the Mampong hospital in the Asante Mampong Municipality and the Ejura hospital in the Ejura-Sekyedomase Municipality. 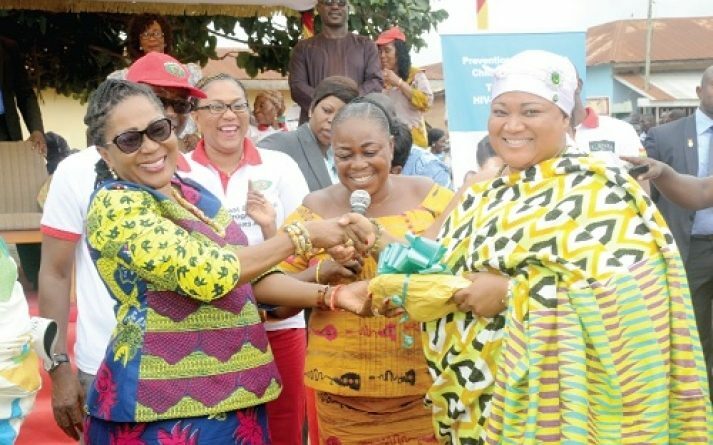 The First Lady, who is also the president of the Organization of African First Ladies (OAFLA), has made greater strides in the promotion of good health for the Ghanaians. The Foundation has also partnered with the OAFLA to create awareness against HIV and AIDS and to eliminate mother-to-child transmission of HIV. 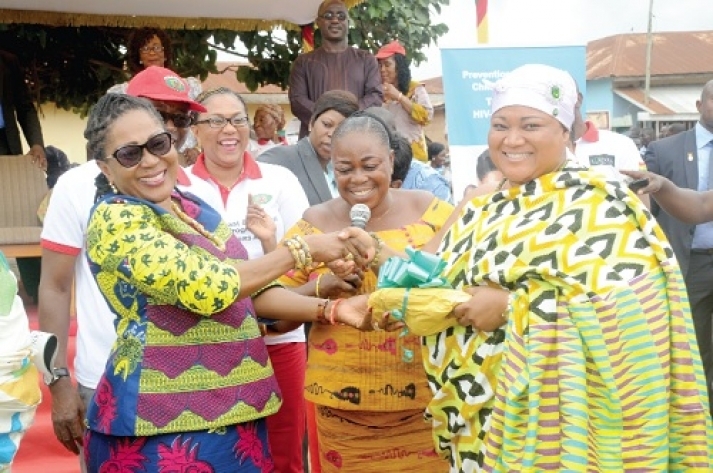 Dr Lordina Mahama promised to do more to extend her medical outreach programmes to needy communities and urged opinion leaders, influential persons and the community at large to prioritize healthcare delivery in their areas. “Government on its own cannot achieve its vision for health for all. It is therefore important to encourage private involvement in our healthcare delivery system,” she said. She also tasked health workers to lead in the delivery of quality and safe health services in the country. The First Lady, advised individuals especially families in rural areas to seek early medical attention to avert a possible outbreak of communicable diseases. This, she indicated was the only way to control the springing up of strange disease in the rural communities. Health Directors and Medical Superintendents of the hospitals were thankful to the First Lady and promised to use the equipments wisely. The Lordina Foundation is also collaborating with the Ghana AIDS Commission and the UT Care Foundation, to organize routine medical outreaches to screen for breast and cervical cancers in selected communities.